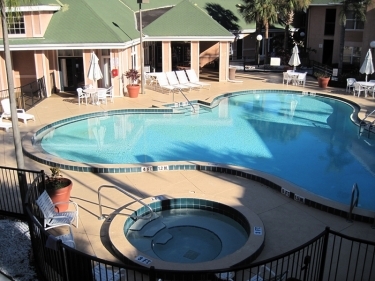 Contemporary Deluxe 3 Room Disney Celebration Resort Villa Suite (approximately 540sf) sleeping up to 5 people with Discount Park Ticket, Golf & SPA – Located in the heart of Disney World right in between Disney Celebration & Downtown Disney! We offer the ultimate in convenience, comfort of home, and value. 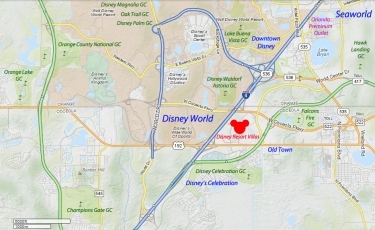 You will be very pleased staying in our Disney Celebration Resort Villa that is located in Disney Celebration surrounded by hundreds of restaurants, bars and outlet-stores. 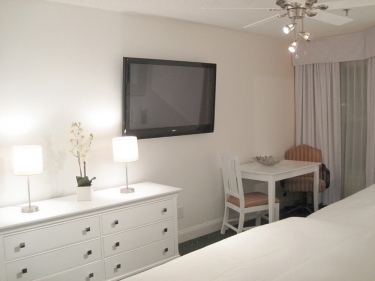 The Disney Celebration Resort Villa is elegantly furnished, has a feeling of comfort and style and is very suitable for a family or golfers staying together. The lighting is subtle and indirect giving a feeling of space and tranquility. A paved pool patio surrounds the villa with pool views and plenty of seating, pool lounge chairs and Jacuzzi Hot Tub SPA. 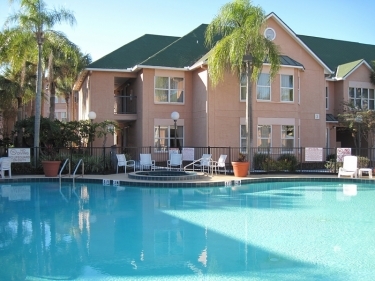 This accommodation is perfect for business colleagues attending one of the fairs or exhibitions at the Orlando Convention Center and offers superior comfort, space and privacy. Whether attending one of the exhibitions or visiting on vacation, you will feel that you are in the “real Florida” and in an oasis of calm.